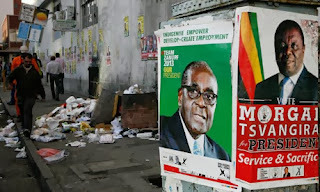 Development Horizons by Lawrence Haddad: Did Mugabe Win? and Did Britain Lose? 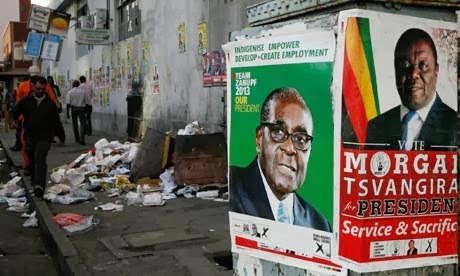 Robert Mugabe's overwhelming win in the Zimbabwean elections in July has prompted Richard Dowden to write an article in Prospect that states "Mugabe won--Britain Lost. The UK is a diminished power in Africa". See the reporting of it in the Zimbabwe Herald. 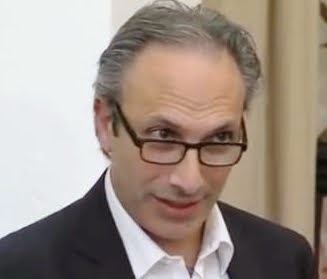 It is such a stark assessment that I've asked Ian Scoones a Senior Research Fellow at IDS and very knowledgeable on Zimbabwe (see his blog) to write a blog for Development Horizons. In the meantime, Richard Dowden's argument is a two parter and it goes like this: (1) Mugabe's victory was so large (61% to Morgan Tsvangirai's 33%) it cannot be explained wholly by vote rigging and given that the UK tried so hard to get Mugabe out, this is a major defeat and (2) this is symptomatic of a larger trend: Britain's diminished role in Africa because new investors such as China, Brazil, Indonesia and Malaysia are giving African leaders more options and therefore more leverage. I agree with both of these arguments, but I do not seem them as linked. Yes, Mugabe's victory is a defeat for the UK's Zimbabwe policy, but in terms of declining influence in Africa, Britain is hardly alone--all the OECD members are facing the same issue. And it is good that the UK's influence is declining, it means the African nations are rising and attracting other investors. The UK needs to treat African countries more like it now treats China. I remember visiting DFID China around 2008 and noticing how differently DFID officials treated them compared to African colleagues. Both courteous, both respectful, but former treated as peers and the latter as beneficiaries. It is past time for all of us to start regarding them in the same way.